Five ideas you need to consider for becoming a happy single retiree. Baby boomers had fewer children than earlier generations, and significant numbers of baby boomers are childless, according to demographer Jonathan Vespa of the U.S. Census Bureau. “As people have fewer children, there are fewer people in that next generation to help take care of that older generation,” he says. Plan early for the financial consequences of aging alone. It’s never too early to save for retirement, strategize your best option for Social Security withdrawals or pay down your house. The point is to create the biggest nest egg possible to use in retirement. This is especially important for single adults who are more likely to need to pay for home care, ride services and a retirement home. Remember that 69 percent of Americans will require long-term care, although a mere 37 percent think they will, according to a survey by SeniorCare.com. That number increases for women, who tend to outlive their spouse and thus feel the effects in larger numbers than men. Social connections are a vital component of aging well. A recent study found that for adults 50 years of age and older, those who felt loneliest were almost twice as likely to die within six years as those who felt least lonely, regardless of their health or social status. Senior centers are a welcome source of friendship and social engagement in many communities. While programs vary, many local senior centers offer libraries, art classes, card and board games, and forays out for cultural events, while some supply a balanced daily meal with a chance to converse with others. Senior adults are also finding a sense of belonging in faith communities and churches, and metropolitan areas are increasingly home to secular communities as well for non-believers. Maintaining friendships is critical for elder orphans. Depression occurs in almost 20 percent of people over the age of 64, according to the National Alliance on Mental Illness. The more things someone does to keep the body and the mind active, the better the outcome. Created 15 years ago, Village to Village is a system to create community in hyper-local neighborhood groups that almost anyone can initiate or join. Village members, according to the Network site, experience reduced isolation, increased independence and enhanced life purpose. With a nonprofit framework, the village-to-village concept employs a combination of volunteers and paid staff to coordinate access to affordable services. A village is a group of members in a localized geographic area whose purpose is based on their community’s needs. It may provide volunteer transportation, health and wellness programs, home repairs, and social and educational activities. A village also offers access to vetted and discounted service providers. For seniors, a village does anything members need to age safely and successfully in their own home. The result is reduced isolation, increased interdependence, and decreased overall cost of care because the program positively impacts individual members’ health and purpose. 3. Appoint a legal delegate. Before you are incapacitated by time or a medical event, choose a proxy who can help with medical decisions as your durable power of attorney appointee. They need to know what medications you’re on, your insurance information, your social security number and anything else that might be necessary in an emergency. Various directives can cover a financial or medical power of attorney, a living will and/or advanced directives, such as Five Wishes, which serves as a legal document in most states when signed and witnessed. Elder orphans without a trusted friend or relative can rely on an attorney who specializes in elder care law. Get a recommendation, and check online ratings for a reliable professional. If there is no compelling reason to stay where you are, elder orphans can use their single status as a bonus and make a move without having to consult a spouse. You may downsize into a tiny house, relocate to a less expensive city with a walkable neighborhood, or benefit from a college town with free classes and a vibrant atmosphere. Realize that options diminish the older you are. 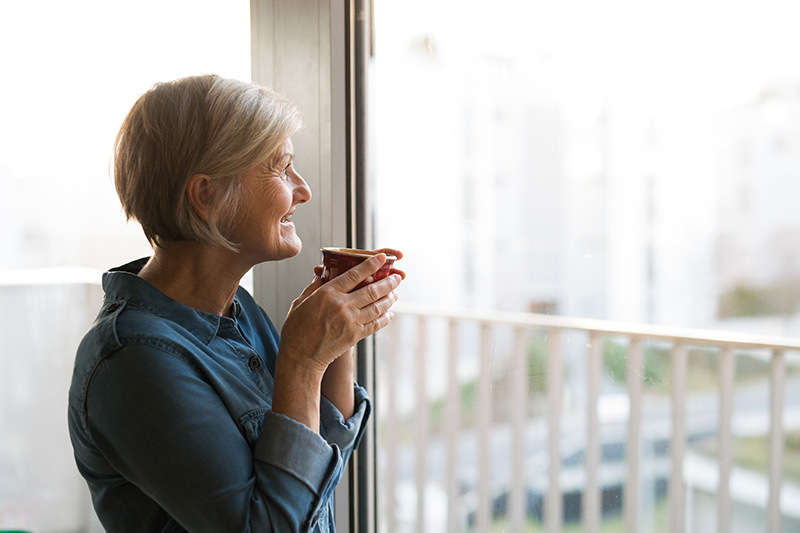 For example, while you may be able to handle moving your household to a new community in your 60s, it becomes more difficult, both physically and emotionally, in your 70s, and very few seniors in their 80s would consider such a big change. Avoid cognitive decline and the isolation of a wheelchair by feeding your body well and exercising regularly. Silver Sneakers exercise programs are widely available. Research studies continue to find strong links between diet and cognitive capacity, in addition to healthy foods creating stronger bodies for better mobility and a wider range of activities. “Young Adults Then and Now,” Jonathan Vespa. U. S. Census Bureau. “No Spouse, No Kids, No Caregiver: How to Prepare to Age Alone,” U.S. News. “The Skyrocketing U.S. Aging Population,” SeniorCare.com. “Infographics & Fact Sheets,” National Alliance on Mental Illness. “Brain foods: the effects of nutrients on brain function,” National Center for Biotechnology Information. “Village to Village Network,” Village to Village Network.